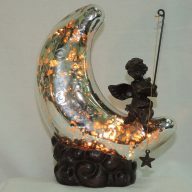 Angel Wings Faith Accent Lamp crackled glass 7″ high. 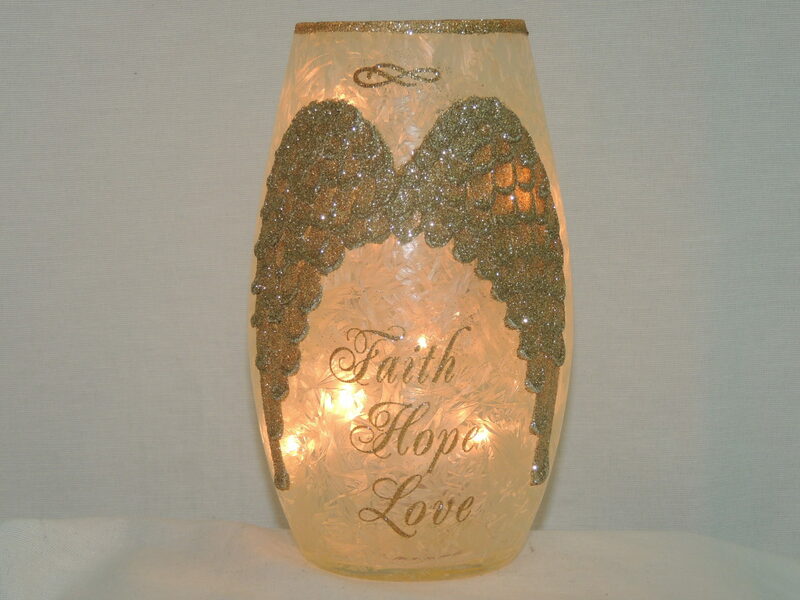 This Angel Wings Faith Accent Lamp 7 Inch is beautifully crafted on a background of white crackled glass. 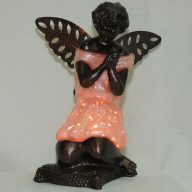 The spreading angel wings are finished in gold glitter and has a raised design which aids in it’s unique look. The top rim also has gold glitter. “Faith, Hope, Love” is written in script with gold colored paint between the wings. 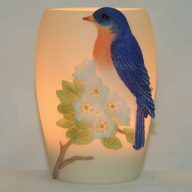 A most appropriate gift of light in memory of a loved one. You light this accent lamp by plugging it directly into the outlet. Lighting comes from a miniature light set coiled inside this gift of light and has 9 bulbs. There are 3 replacement bulbs included. For your utmost safety, there is a 3 Amp, 125 Volt fuse in the plug, with an extra included. A most thoughtful gift for the loss of what some consider a person’s best friend.